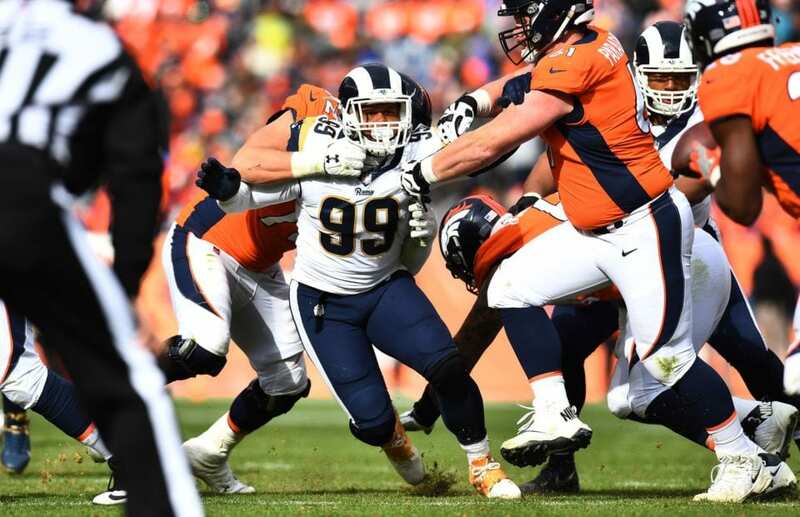 Aaron Donald continues to show why he is one of the premier players in the NFL. Even head coach Sean McVay has started to notice the measures which offensive lineman will go just to prevent him from getting to the quarterback. Donald and the Rams were deadlocked in contract negotiations for two years. However, he has managed to give Los Angeles plenty of bang for their buck regardless of the deal he was playing under. The reigning Defensive Player of the Year has racked up four sacks and 17 tackles so far this season. It is safe to say his numbers would be even better if offensive lineman were held more accountable for their holding. Still, the type of impact he has on a game does not show up in the stat sheet. Although Donald may get held more than the average defensive lineman, do not expect to see an increase in penalties. Realistically, there is holding on every play. If officials were to call it every time, it would slow down the tempo of the game drastically as McVay said. This means Donald may have to find a way to make the holding more blatantly obvious than it already is.